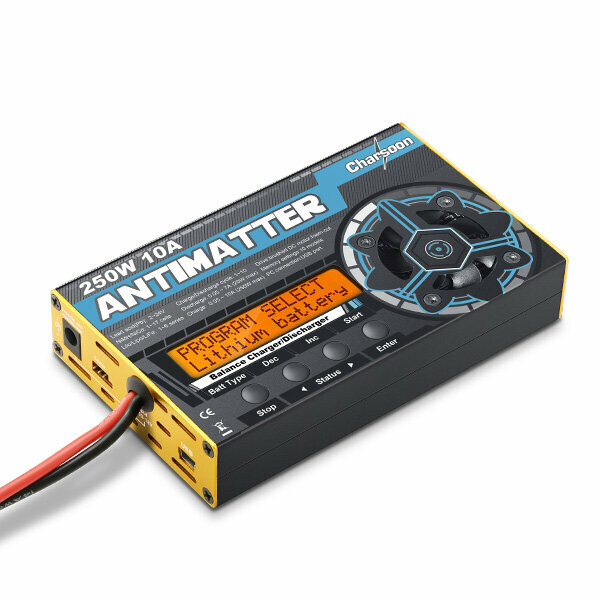 The Charsoon Antimatter 250W charger is a powerful charger for its size. 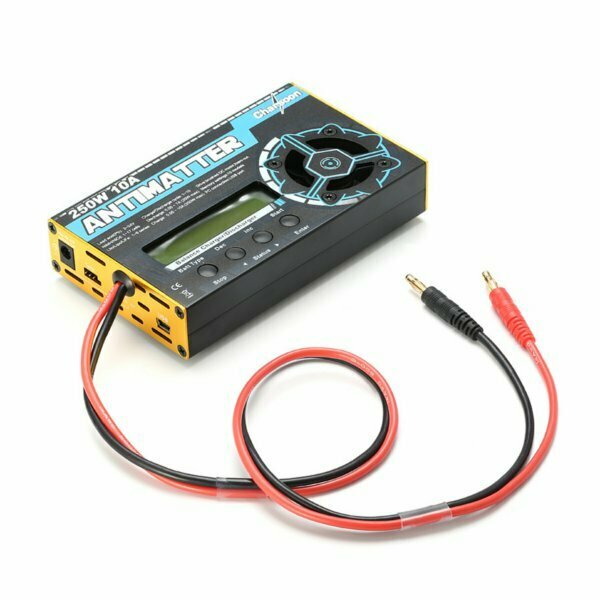 This high power balancing charger/discharger can provide up to 10A charge rates and handle up to 6S Li-po/LiFe or 17S NiCd/NiMH battery. 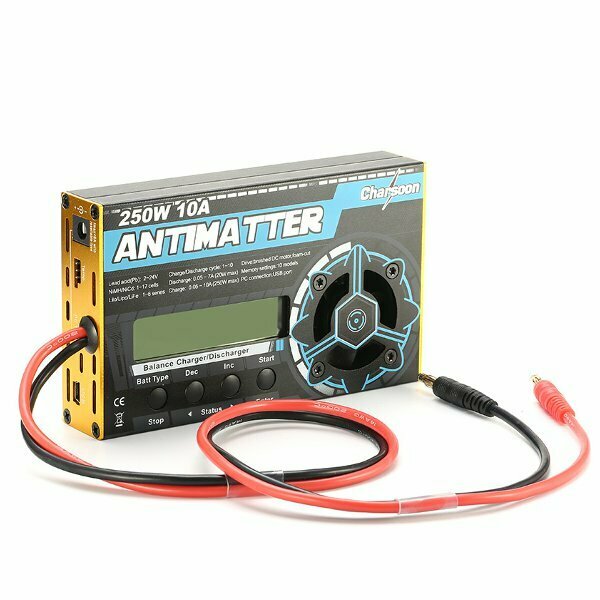 The Charsoon Antimatter 250W has great features such as storage charging, cyclic charging / discharging, 10 charge parameter memory and can also be set up as a convenient power supply for a hot wire foam cutter. This charger use original USA international rectifier and Japan rubycon,more reliable quality. For lithium batteries: balance charging,normal charging,fast charging,storage,discharging,ext-discharging,charge/discharge cycling an battery monitoring. 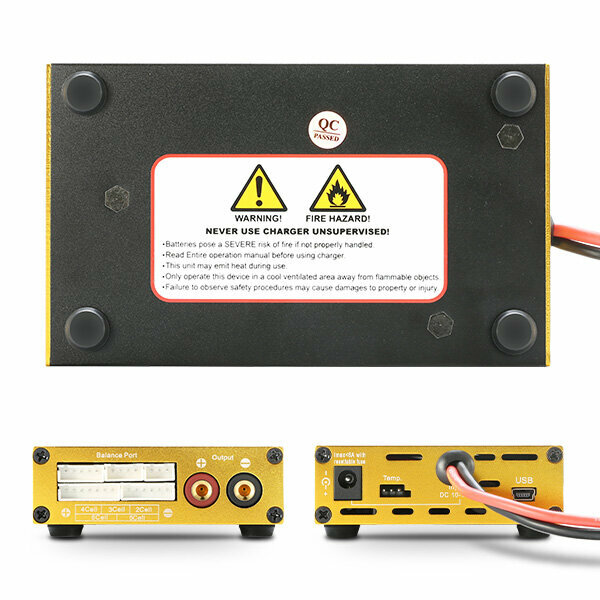 When you connect the external capacity resistance,you can use it as the maximum discharge power capacity - 170W(25V/7A).